Commercial vehicles are bigger than an average automobile, so truck accidents will cause greater damage and harm to all involved. The 2015 report released by The Federal Motor Carrier Safety Administration (FMCSA) says that of all traffic accidents involving trucks, approximately 3,598 resulted in death. 83,000 truck accidents involved only injuries in that same year. The sheer size of a commercial truck increases the likelihood of significant damage occurring during a wreck. It is important for all drivers to understand the common causes of truck accidents, the injuries involved, and what to expect after an accident happens. Jackknifing occurs when the main cab of a truck forms an acute angle with the trailer behind it. This issue happens when a truck driver does not have sufficient time to react to a hazard on the road ahead of them. The tendency for a truck to jackknife increases when the front brakes are disabled or suddenly lose power. Fuel fires occur when diesel fuel comes into contact with sparks from the truck’s battery. The only way to avoid a fire is protect the battery in the chassis of the truck by never putting it in a place of vulnerability. Rollovers are the leading cause of all fatalities and injuries in truck accidents. Many factors must be taken into consideration including driver error, truck malfunctions, and hazardous highway conditions. A wreck can take place because of brake failure or driver fatigue, or because the driver turns too fast or has an improper load distribution. Brake malfunction is the second leading cause of all truck accidents, and a number of factors must take place for this to occur. To determine if the brakes malfunctioned, insurance investigators will examine a number of things. They will test the trucker’s ability to drive a commercial vehicle and verify how the warehouse loaded the trailer before the truck left the premises. The condition of the brakes themselves will also be investigated. Air brakes are common for trucks, but they can only handle so much heat. A full stop at 60 MPH can raise the temperature inside the brake drum up to 600 degrees. If the brakes are properly maintained, then the probability of a truck accident decreases. Perhaps the most unique aspect of truck accidents is the type of injuries sustained in them. 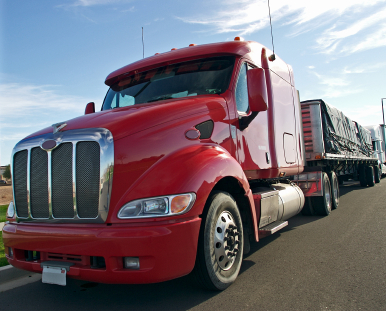 Extensive injuries are common because a commercial truck roughly weighs close to 80,000 pounds, while a standard automobile is approximately 3,000 pounds. The injuries sustained by drivers and passengers involved are often more numerous and worse than those those from regular car accidents. Trucking companies are required to have insurance with higher liability limits in order to compensate victims for these injuries. Everyone has the legal right to seek damages if they were involved in a car accident. The goal is to get a victim back on their feet with some form of compensation or into the same financial position as before the wreck. Injured parties can seek a binding settlement by suing the trucking company for all monetary losses resulting from a commercial truck accident. In order to receive compensation, an insurance claim report must be filed. This report should include all medical expenses, rehabilitative care, and salary loss from the time spent away from work. In extreme cases, punitive damages can be recovered if the truck accident was caused with the intent to harm the victim. There is no limit to the amount that can be gained from a punitive damage case. Commercial trucks operate differently than an average truck or car. Because of this, individuals operating these vehicles should have the proper education and training, as well as specialized licenses. If they don’t have the proper credentials, the trucking company is liable for all damages that occur in an accident. Commercial truck accidents can be stressful and expensive to handle, and it can be difficult to know what damages you are entitled to. If you have been involved in a commercial truck accident, finding an attorney that cares about you is vital. Contact attorney Dean Boyd for more information about how we can help you with your claim. Call us at (806) 242-3333 or Contact Us by email to learn more about our Services. You can also visit our offices at 4423 SW 45th Ave in Amarillo, Texas or 5012 50th St #103 in Lubbock, Texas.